Grace Notes: What is a Grace Brethren Church? 2. The Statement of Faith as a summary of our biblical beliefs and practice. 3. The practice of triune-immersion baptism and three-fold communion (because we believe the Bible teaches these - grammatically and theologically and Church history supports this, not because we have "always done it this way"). 4. Oversight by an elder (or elders) who fulfill(s) scriptural qualifications. 5. The observance of regular worship services. The purpose of a local church is the worship of God, the edification and fellowship of believers, and the fulfillment of the Great Commission. A Grace Brethren Church is not part of a denomination, but it is part of a Fellowship of Churches. This means that each local church is autonomous and self-governing. There is no outside hierarchy that controls it, though the local church voluntarily works with other churches in the Fellowship to accomplish things which would be difficult to do on its own such as missions, youth events, Ministerium support, and other events. 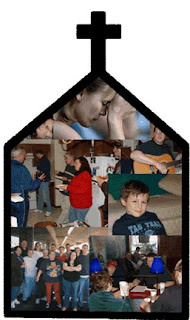 We also work with other churches which are committed to following Christ. Is 99% of the Truth Good Enough?